GOLDEN BEACH LIFESTYLE! Location, Location, Location! Enjoy the private Golden Beach Easement which is only a few blocks away featuring parking(car, bike or golf cart),picnic tables, grill, outdoor shower, benches, and private(resident only) access to Beautiful Golden Beach. This split plan HOME with premium finishes has all the right spaces and a fantastic flow. Home highlights include: side entry 2 car garage, inside laundry area with utility sink and second refrigerator, custom matching designer shades throughout(living room shades are even power! ), NEW stainless steel appliances, kitchen pantry, newer roof, gutters, irrigation system with well, walk-in closet, crown molding, granite vanity top in master bath, Hunter Douglas ceiling fans, new fixtures, fenced back yard with 10 ft access gate, new high wind rated front door & garage door, RV electrical hookup, and more! 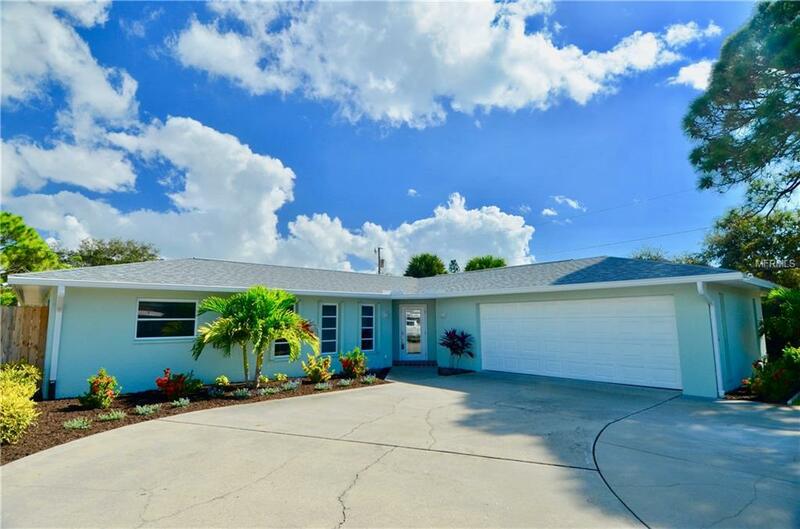 Home is conveniently located in close proximity to Venice Beach,Historic Downtown Venice with its unmatched charm, Brohard Beach & Paw Park(Only Sarasota County Dog Friendly Beach), Caspersen Beach, Venice Theatre, Venice Performing Arts Center, NEW Venice Library(Opening in December 2018) amazing restaurants, shopping, Publix, public parks including the Venetian Waterway Park & Legacy Trails, hospital, tennis courts, basketball courts, and many other desirable destinations and amenities. Please note this home is on City Water and Sewer and there are NO deed restrictions.